If you’re looking for the perfect dessert for holiday parties, family get-togethers or potlucks, you’re in luck. 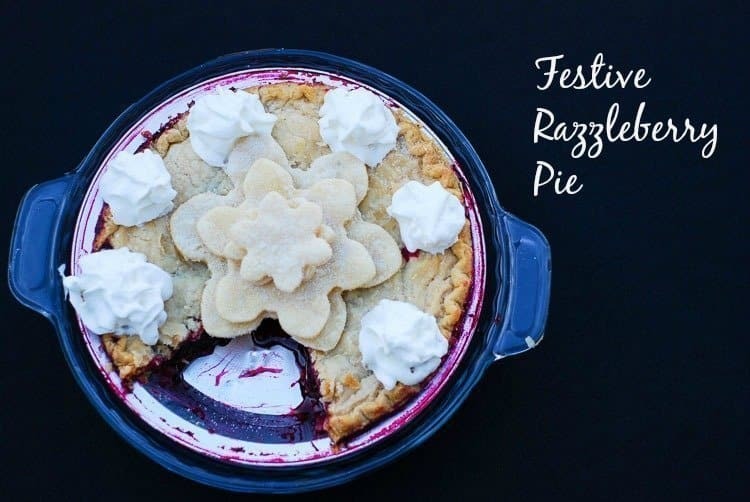 Festive Razzleberry Pie is perfect for any holiday occasion. It’s my favorite holiday pie! Have you ever heard the saying, “A shoemaker’s kids always go barefoot?” The shoemaker is so busy making shoes for other kids that he doesn’t have time to make shoes for his own kids. During the holidays, I sometimes feel like the shoemaker. I get so busy with parties, preparing recipes for photo shoots and everything else, that I don’t have a lot of time for cooking and preparing desserts for my own family. The holidays are all about spending time with family and friends. So, when prepping for a holiday meal, the secret to spending less time in the kitchen is to know where you can save while still creating a look, taste and smell that’s just like homemade. It’s a good thing that Marie Callender’s has my back! I’ve often told y’all that pies are my favorite desserts. It’s true. And berry pies are right up there at the tip top of my favorite pie list. Berry pies are not just for summertime fun. During the holidays, all I have to do is add my own festive touches to Marie’s Razzleberry pie and I’m good to go. While I’m confessing my secrets, I’ll admit that even though I’m an excellent cook, Marie Callender’s pies are better than mine. Her pies are made with high-quality ingredients and signature special touches. And it saves me time and money. To add a festive touch to the Razzleberry pie, I buy a package of premade pie crusts in the refrigerated section of my local grocery store. I unfold it, cut out shapes with a snowflake cookie cutter, brush the snowflakes with an egg wash (whisk 1 egg with 1 tablespoon cold water or milk) sprinkle with sugar and bake until lightly browned. After the Razzleberry pie is baked according to the package directions, I add a big dollop of whipped topping, a sparkly snowflake, and my Festive Razzleberry Pie is complete. Sometimes, I substitute vanilla ice cream for the whipped topping. Here’s a little video of me making the pie festive for the holidays. Fun Fact: The week before Christmas is the most popular for purchasing pies. In December, more than 11 million pies are sold, with an estimated 4 million sold this week alone! Seems I’m not the only one who knows the secret to holiday meal time-management. It’s simple: Know where to spend and know where to save. Reducing time spent on certain aspects of the meal can allow you to invest more in other areas. Bake the RazzleBerry Pie according to the directions on the package. Unroll the refrigerated pie crust onto a flat surface sprinkled with flour. Cut out snowflake shapes and brush them with the egg and water mixture. Sprinkle with sugar. Bake at 400º for 6-8 minutes or until lightly browned. Top the pie with whipped topping and the snowflake cutouts. 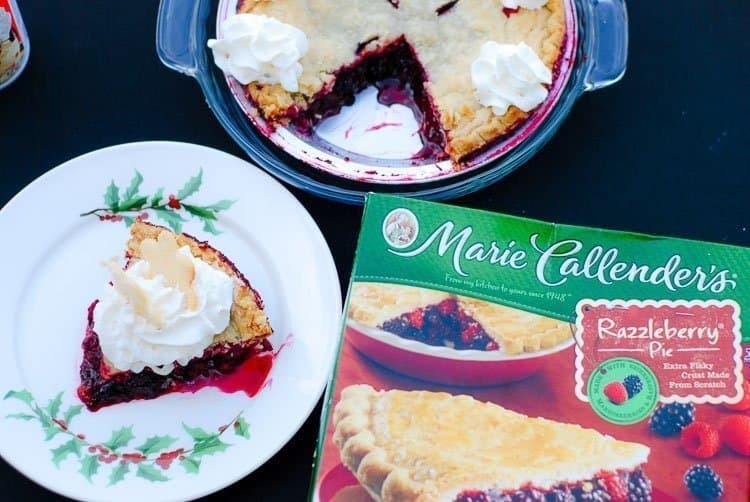 Helpful Hint: Don’t stress with making every dish from scratch, just add your own personal touches to a Marie Callender’s pie. For more pie tips, follow Marie Callender’s Facebook page and check out the Tips page. 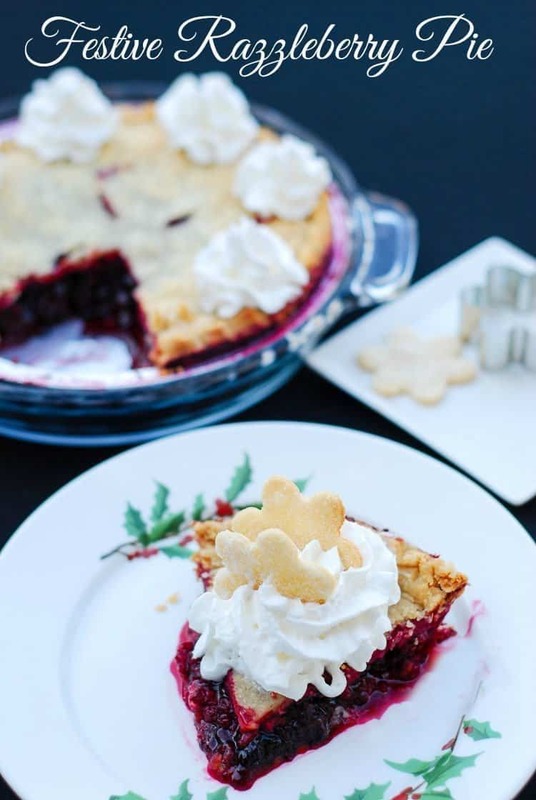 What’s your favorite way to add a festive touch to a Marie Callender’s pie? I am participating in a VIN campaign for Marie Callender’s. I am receiving a fee for posting; however, the opinions expressed in this post are my own. I am in no way affiliated with Marie Callender’s and do not earn a commission or percent of sales.